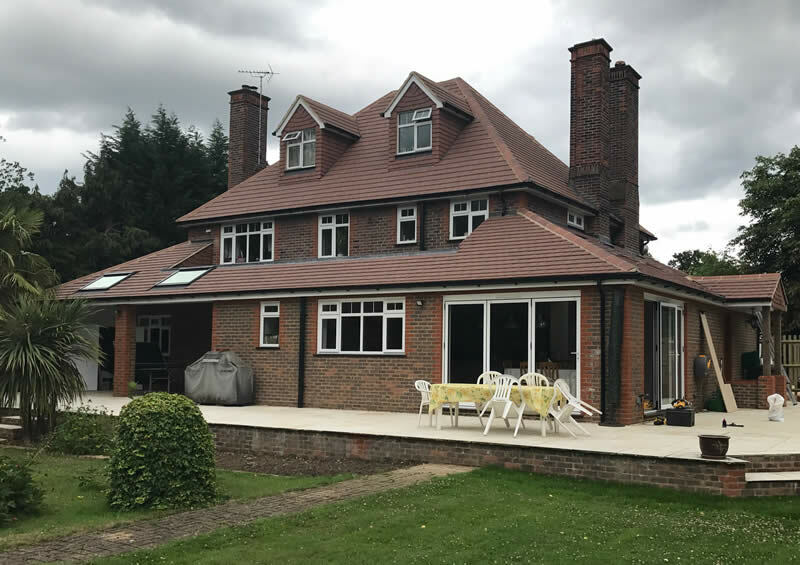 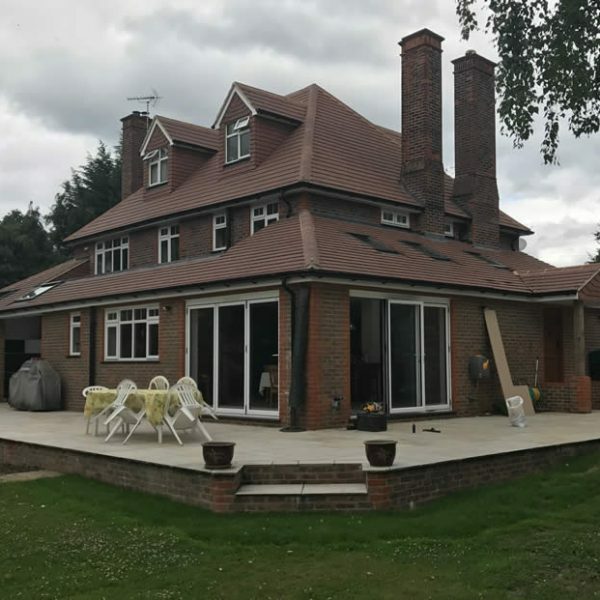 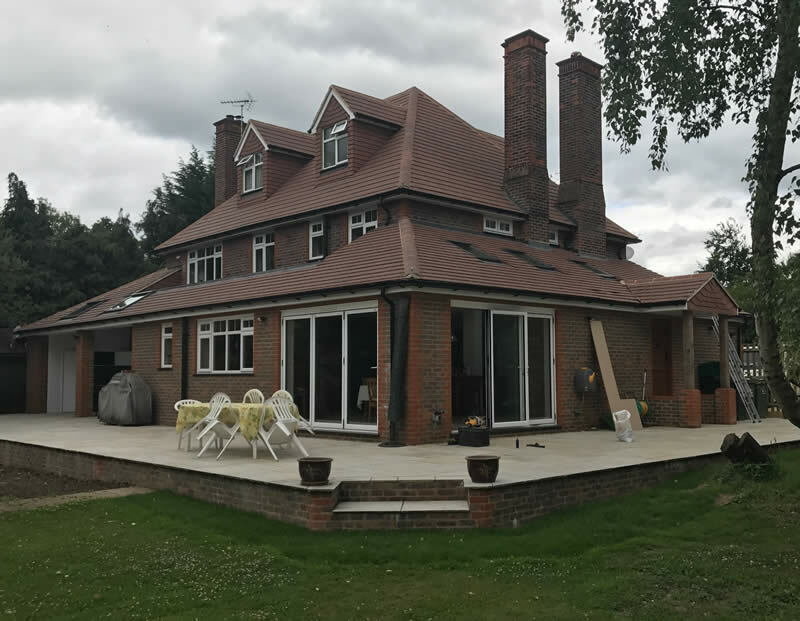 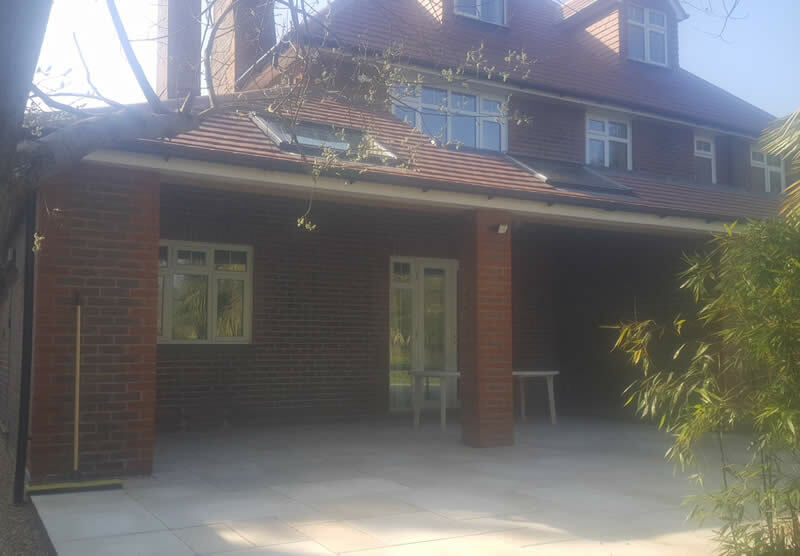 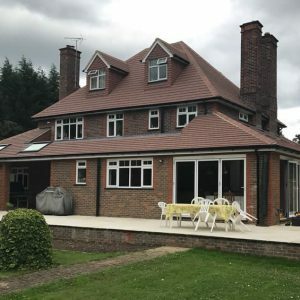 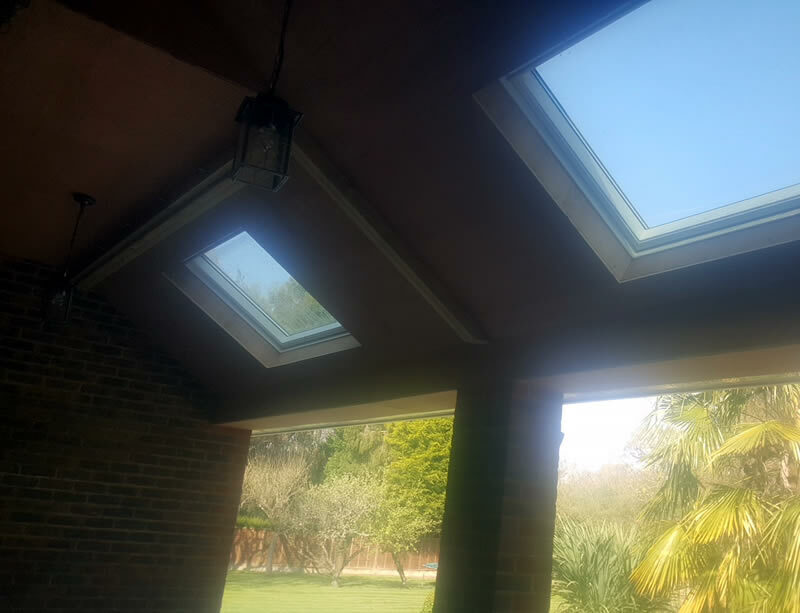 A large single-story side and rear extension incorporating a games portico, patio works and re-tile of the existing house. Hogs Back Builders were recommended to the owners of this property by a local architect. 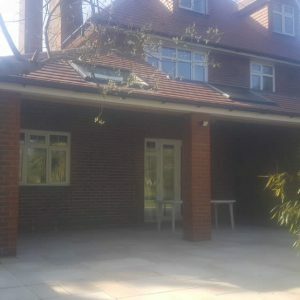 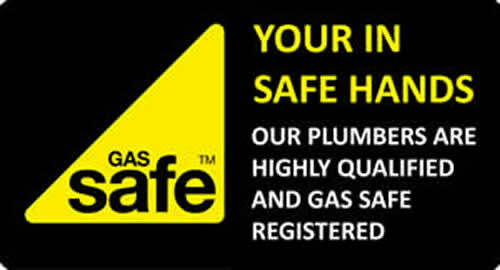 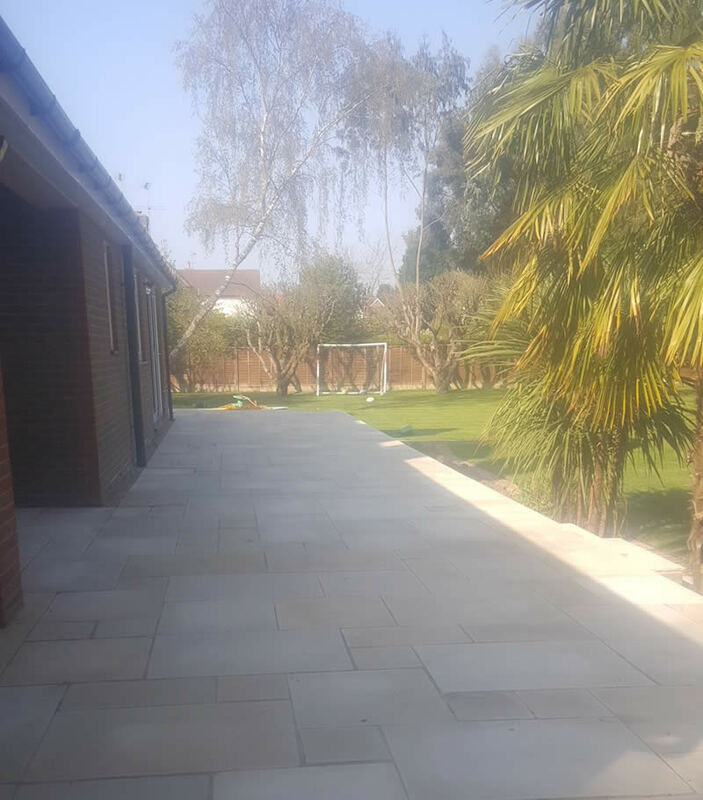 The ground works on this job were very complex which were carried out in house by our groundwork team. 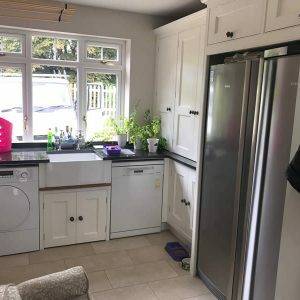 Parts of the existing kitchen had to be demolished at the start of the job and put the kitchen out of use for the entirety of the project. 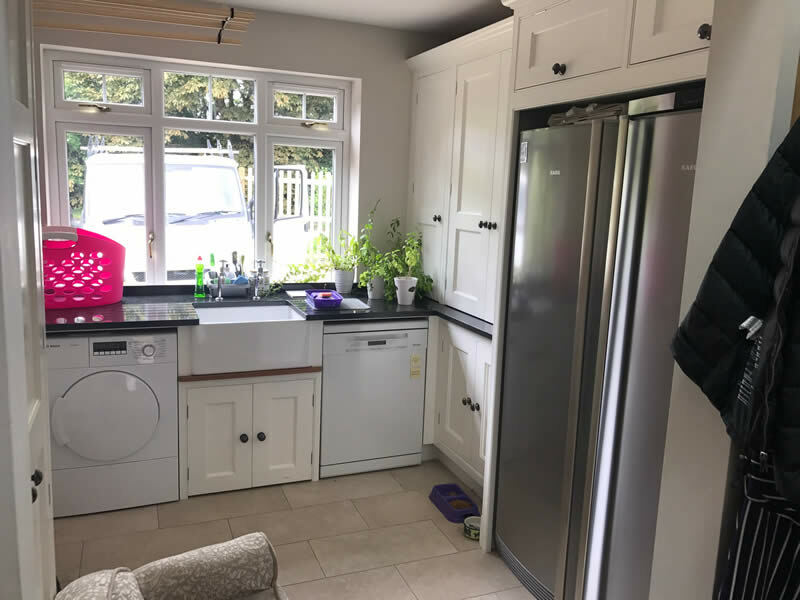 We set up a temporary kitchen for the client in the dining room with a worktop, sink, dishwasher, washing machine, oven, hob and fridge freezer so the family could live in the house whilst we sealed of our site and got on with the works. 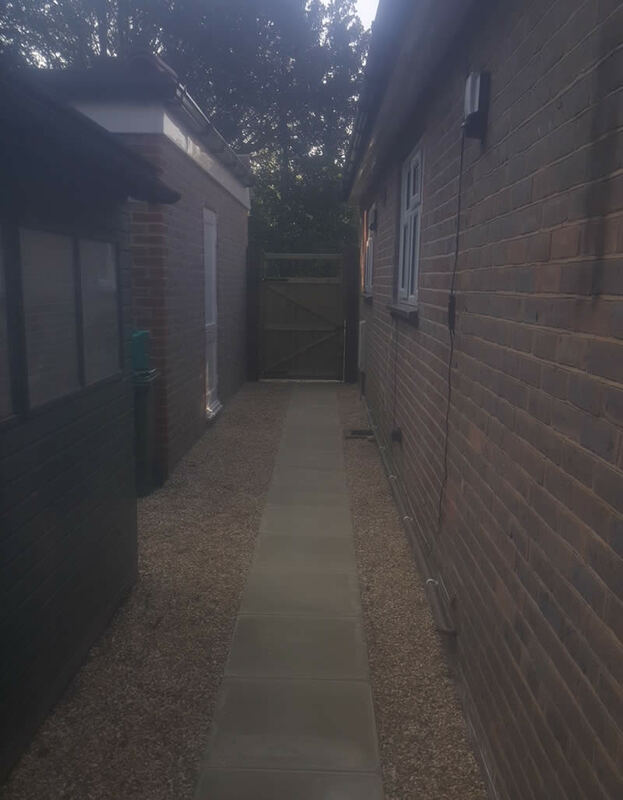 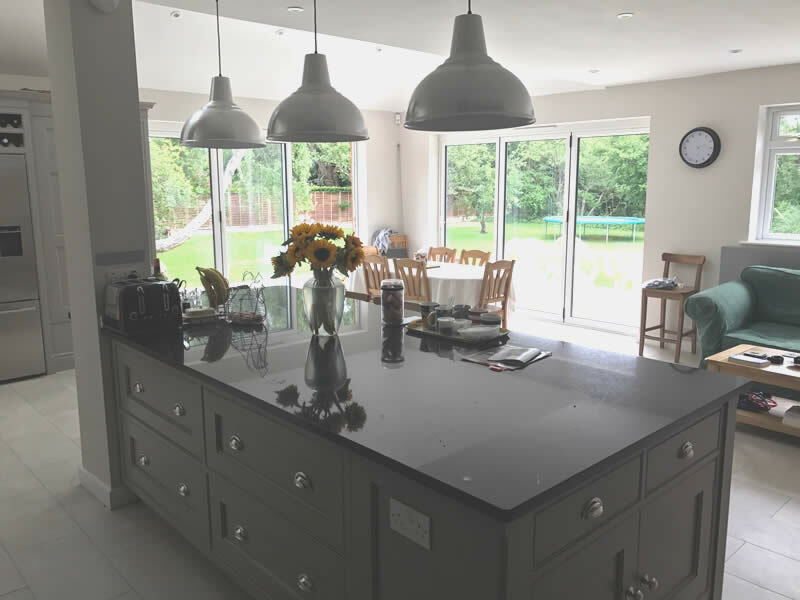 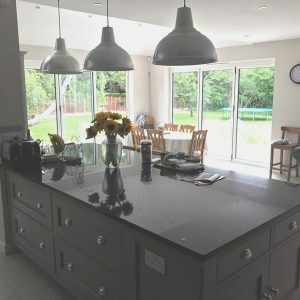 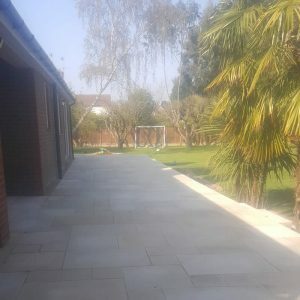 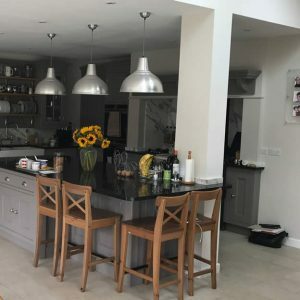 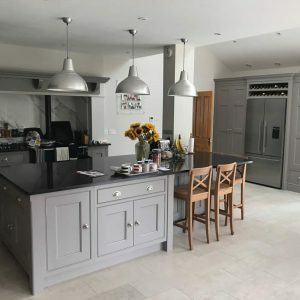 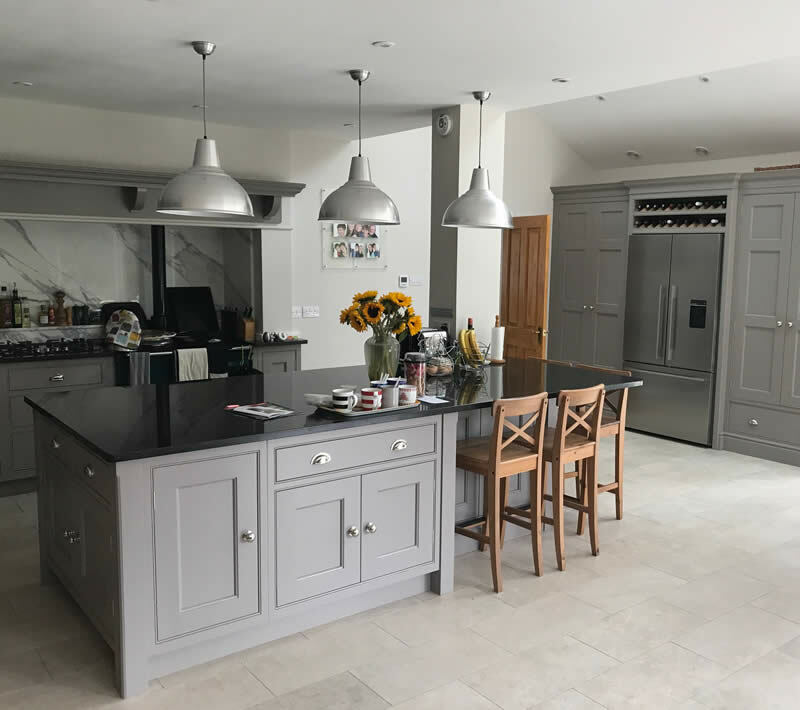 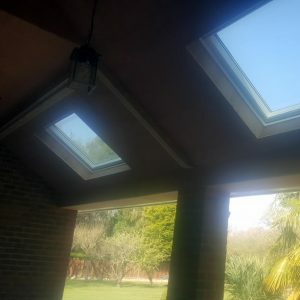 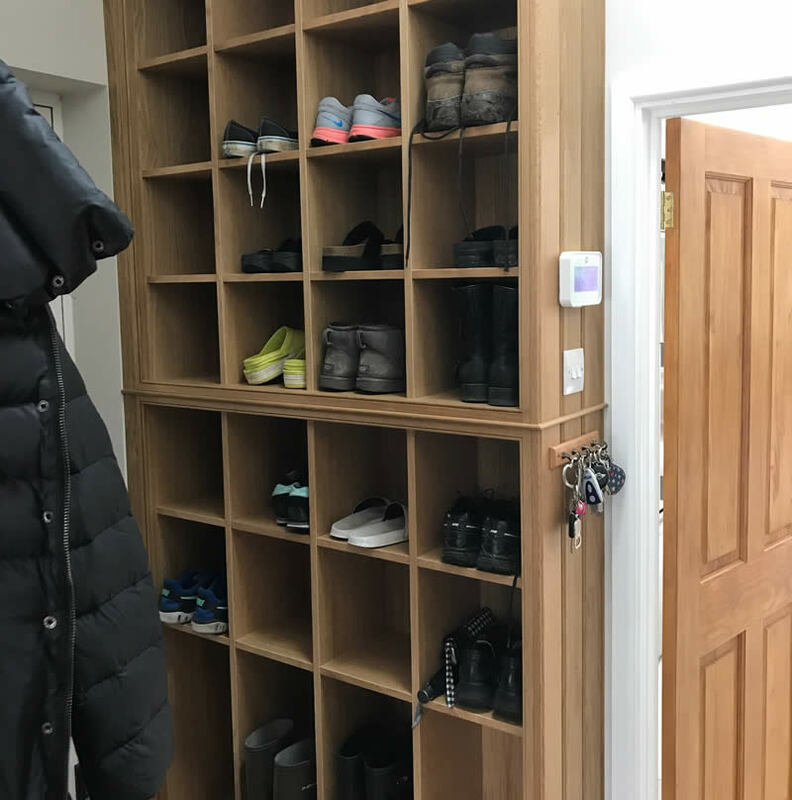 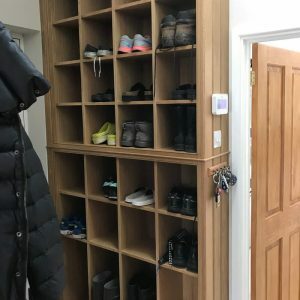 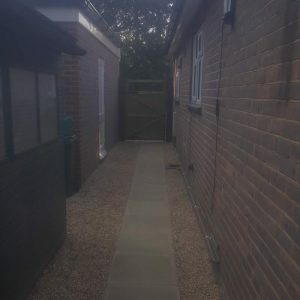 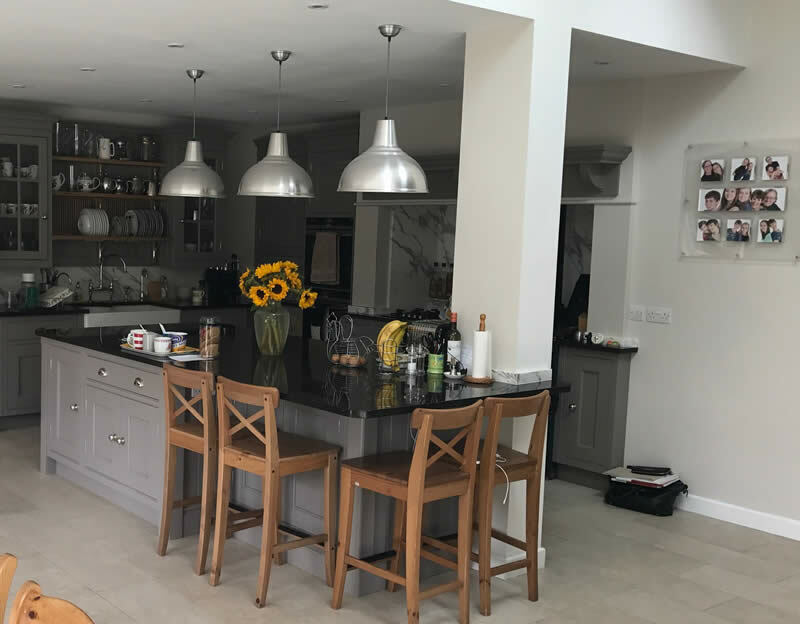 The result was a lovely kitchen diner with bespoke handmade kitchen, utility room, boot room, WC and coat room internally and a games portico and patio externally.